Anyone can buy from our online ribbon shop! Please register your new profile on our online ribbon shop or log in to view Ribbon Place’s wide range of Decorative Ribbons, that includes satin, organza, woven and branded ribbons. Browse and place your orders. Please view our Terms and Conditions here, and if you need assistance, please contact shop@ribbonplace.co.za. Scroll down to see our shop categories. All prices are final but exclude shipping. Products are shipped across South Africa using local couriers. Delivery charges is added to your order at the checkout point. Pay with our secure credit card facility or make an EFT. Please note our shop has a minimum order amount of R250.00. 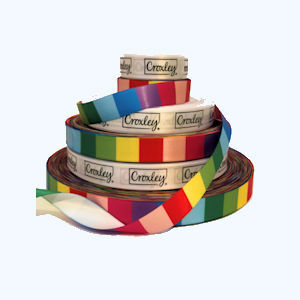 We sell decorative satin ribbons, woven or Petersham and organza ribbons. We also do custom branding/printing on ribbon. Have a look at our awareness ribbon range. Have fun choosing your ribbon, let’s put a bow on it! Colour Be aware that colours of ribbon, may vary slightly from batch to batch. This is to be expected of our standard in stock colours. The ribbon colours on your screen may differ from the actual colour due to digital differences between devices and technology.